The storage whilst only used for a short period of time came in extremely handy and the facility is fantastic. Access was easy and the site offers trolleys and other equipment to make moving your goods easy. Staff were very informative, frendly and professional. We will definately be using and reccomending this Storage King facitlty in the future. Thanks for the great review, Pat. It was a pleasure serving you as a customer. Cleaning room and excellent service! Worth the price! Moving is one of the hardest times in lives, however the boss and staff at Storage King Hurstville have made it a breeze. They suggested the right size space for my needs, were very accomodating and understanding. It was the best experience I’ve had at a very stressful time. The storage space was wonderful and easy to access. I can’t thank Gordon and Chrissy enough for all their support and patience. I highly recommend storage king in Hurstville above all others (I have previously had stuff stored at other places but Hurstville is above the rest). I will also continue to use their storage space for future needs. Thank you so much!!! Discovered that SK have an e-waste service for only a few dollars so went over today to drop off a heap of electronics stuff I've been hanging on to for want of a place to dispose of it. Manager Gordon was probably the most helpful person I've had any interaction with in any sort of shop for a long time. Thanks for all the help and thanks for this great initiative. Very good service, staffs are excellent there, very helpful and friendly, storage are very secure, nice and clean. Definitely will store with them again! Service and price are good. Guys are nice to help you. Really poor opening hours. Competitors have longer. Always closed in public holidays. Also complete disregard for rental terms agreed by charging ad hoc fees when they have clearly been excluded in contract. Great service and very friendly staff. Would highly recommended for all your storage needs. Excellent staff and services offered are fantastic. They were able to provide me with everything needed to pack up my stuff and they even helped my move into my locker. I would highly recommend it. The team at Storage King are excellent. Very good for business. I could not be happier with the service I get there. Nothing is too hard for them. 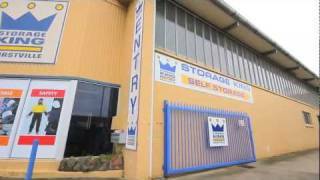 Storage King Hurstville is a purpose built self-storage facility catering for the convenience of residential and commercial customers. We cater for over 30 different size options and solutions for your storage and archiving needs, we also supply packaging material to protect your valuables and convenient and cost effective transportation of your valuable goods into our facility. We can provide you a total storage solution for you individual requirements including free home appraisals, advice on packing and moving your valuable goods into storage with our team of storage professionals. Storage King Hurstville proudly services Penshurst, Allawah, Carlton, Kogarah, Bexley, South Hurstville, Beverley Park, Kingsgrove and Beverly Hills.